What are licences and how do they work? Licences control students' access to different subjects. Licences are used to decide which classes have access to which subjects and for what period of time. You will encounter licences in two places: when you're creating a new class and when you're viewing existing classes. Below is a breakdown of what the different parts of a licence are. See the table below for a full list of subjects that appear on licences. A licence may be set to either 'Purchased' or 'Trialling'. This generally depends on whether or not you're subscribed for a particular subject but can also depend on whether or not a licence is for an official competition. This is the date the licence will expire on. Any students on this licence will likely lose access once it becomes inactive. All Subjects - As the name applies, All Subjects gives you access to all of the subjects below. EP Only - Access to everything apart from Languages. - A range of maths and literacy content. This subject tends to be reserved for primary and intermediate schools. Languages Yes Access to the following fully-supported languages, along with a number of less-developed languages: Arabic, Chinese, French, German, Indonesian, Italian, Japanese, Latin, Māori, and Spanish. Social Sciences/Humanities Partially This includes access to Geography, History and Social Sciences. Technology Partially Digital Technology. Content for this is being developed in alignment with the Australian curriculum. ESOL/EAL Partially English for speakers of other languages/English as an additional language. 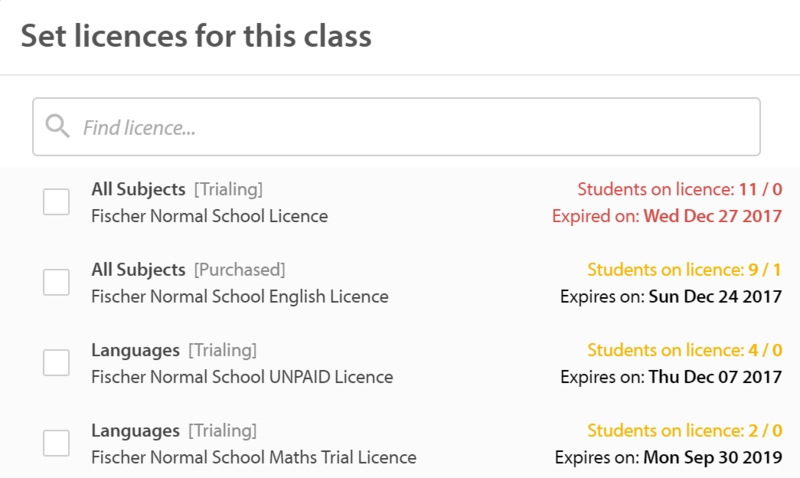 You can see what your classes are licenced for by going into the Manage Accounts tab of your Control Panel and scrolling down to All Classes. Here, you will be able to see what subjects your classes are licenced for. You can click on the licence for more details. Here you will be able to see the product, status, expiry date, and a full list of the classes on this licence. If a licence is about to expire, a calendar symbol will appear next to it. Expired Students don't have access. About to expire Students are about to lose access. If your students are on the wrong licence, they may not have access to the correct subjects. If they are not on an active licence at all, they will not be able to access Education Perfect. 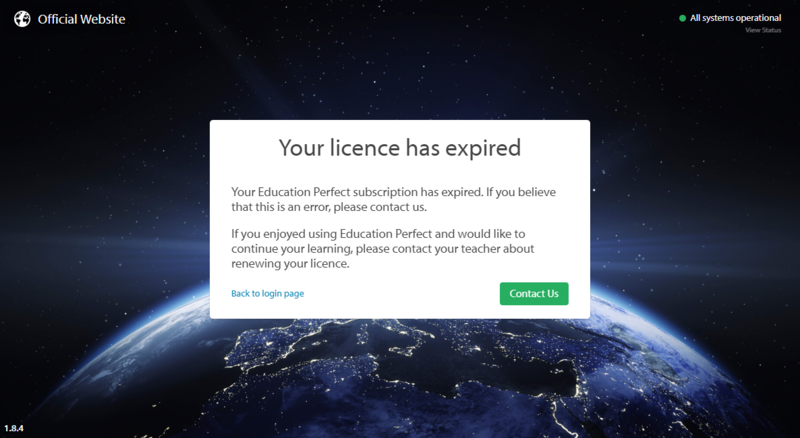 If you have any issues with the way your classes have been licensed, please get in touch with us at support@educationperfect.com. To find out more about how to set up a subscription or how to check your students' payment statuses, please feel free to look here.